Swiss brand Armand Nicolet just launched a new collection under the name of M02. This collection is separate in 3 lines : Date, Chronograph & Date and GMT. The original concept that years ago inspired the first version of this family hasn’t changed, but the Maison this time has focused particularly on comfort and ergonomics. 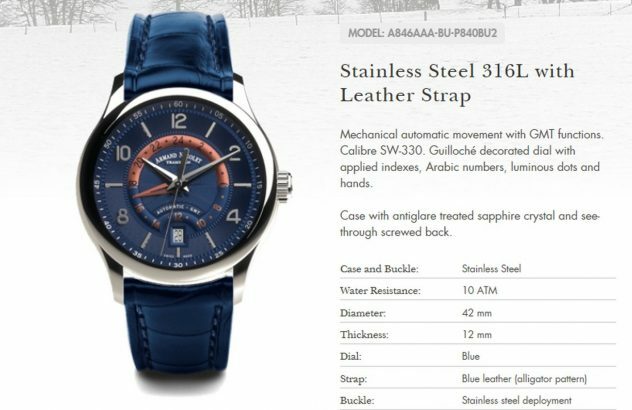 In order to make the watch as comfortable as possible on a man’s wrist the diameter of the case has been reduced a little and time-telling is now easier thanks to a revisited dial where Arabic numbers are displayed alternatively to indexes. The date model is something really classical. It uses the SW-200 movement from Sellita and is priced around 1400 CHF. 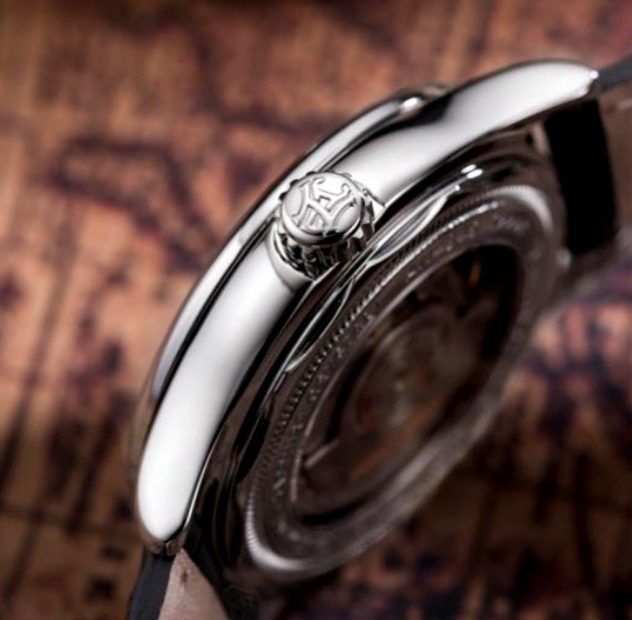 The most interesting thing about it is the guilloche dial that I find really appealing. This one is declined in 8 models but the blue one looks very nice. Find the Date collection HERE. The Chronograph & Date uses a SW-500 movement and is priced around 3500 CHF. Find the Chrono & Date collection HERE. We will not go further on it as it exceeds our 2500 CHF limit. The last one and probably the most interesting of this new collection is the GMT model. At the heart of this piece there is the Sellita SW-330 movement which you can also find in the Ming 17.03 watch. 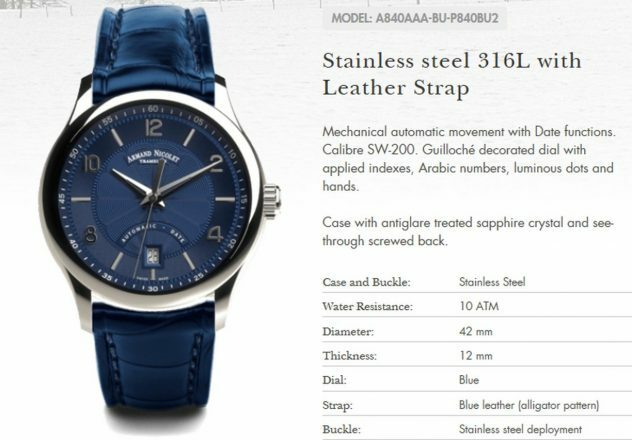 The collection is made of 4 models and you can get them in both steel bracelet (priced 2400 CHF) or leather strap (priced 2200 CHF). I still love the guilloché dial on this piece and the way they put the GMT indicator looks really nice and readable. Find the GMT collection HERE. The M02 (and even more the GMT model) is a great example of the fantastic results you get when you succeed to put together Italian design and Swiss care for details and precision.